Command line way of updating Solus comes in handy especially during troubleshooting and remote access. Solus comes in three flavors including Budgie, GNOME, and MATE editions. 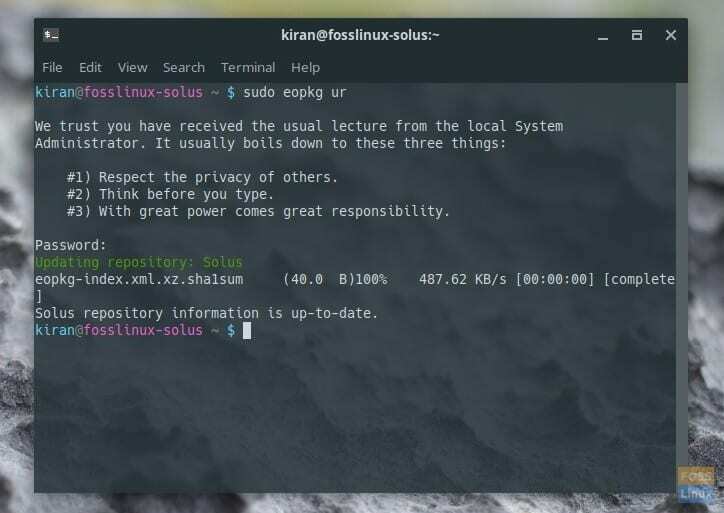 Let’s take a look at how to install updates in your Solus PC using command line via Terminal. Of course, Solus can always be updated by GUI way and typically shows a notification once an update is available. The advantage of doing things by command line is useful while troubleshooting issues on a remote system. Also, it’s a good gateway to start learning Linux which used to be a command line only operating system when it was born. Solus is written ground up from scratch, and the strong point of this beautiful Linux distro is not being a derivate of any Linux distribution. 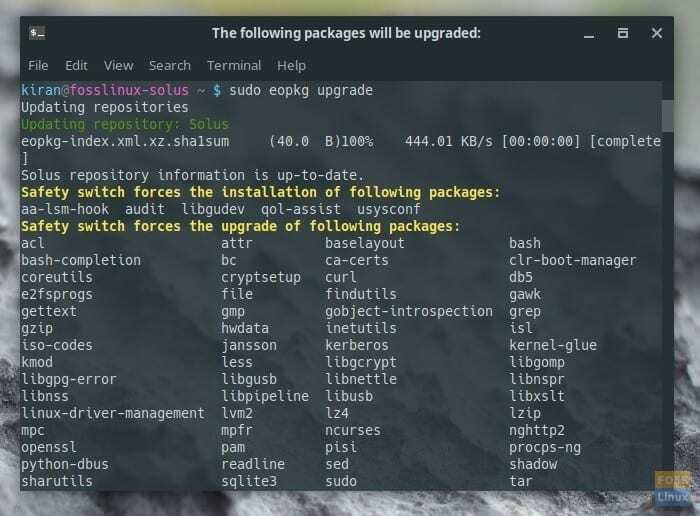 Solus uses the eopkg package management system to deliver software updates to the end-user. At first look, the eopkg package management system doesn’t look straightforward, but before I raise any flags, I should admit that it is relatively new for me and I’m still in process of understanding it. I will reserve the talk for another day. For now, here are the guides. To update Solus with latest system updates by command line, simply launch the Terminal from “Activities” and enter the following command. Pay attention to the progress of the Terminal. You will have to enter the root password and ‘yes’ when prompted. Help with auto brightness in Solus, Nvidia proprietary software sets auto brightness and every time i open the nvidia panel. It goes back to the proper settings i applied.